On May 3, 2013, the current state of the Boston Celtics would have seemed unimaginable to even the team’s most ardent fans. That night, the Celtics lost Game 6 of their first-round series against the New York Knicks and were eliminated from the playoffs. Two-thirds of Boston’s so-called “Big Three” (Paul Pierce and Kevin Garnett) were still with the organization while the other member (Ray Allen) had left before the start of the season to join the Miami Heat. Pierce was under contract for one more year while Garnett was locked up for another two; however, with the team’s decline from championship contender to fringe playoff team, Celtics’ GM and President of Basketball Operations Danny Ainge would have a decision to make: ride out the length of their contracts or deal them to a team crazy enough to give up key assets for their services. At the same time, the front office needed to figure out what to do with coach Doc Rivers, who would have been less than willing to endure a rebuild and wanted more organizational influence; Boston later responded by dealing Rivers to the Los Angeles Clippers for a 2015 protected first round pick. Still, the situation remained with Pierce and Garnett. As it turns out, the Brooklyn Nets were willing to help out the Celtics with their dilemma. On June 28 of that year, the Nets acquired Pierce, Garnett, and Jason Terry in exchange for several role players, the most notable of whom being Kris Humphries and Gerald Wallace. Here’s the kicker: the Nets also sent their first-round picks for 2014, 2016, and 2018 to Boston, as well as the right to swap picks this year, something the Celtics are going to take advantage of in the draft lottery. However, both sides were happy: the Celtics got a truckload of draft picks while the Nets got three additional pieces they thought could help them win a championship; Nets owner Mikhail Prokhorov proclaimed shortly after the trade that “the basketball gods smiled on the Nets”. Little did he know just how wrong he would be; Pierce and Garnett played just one season together in Brooklyn before the former signed with the Wizards in the summer of 2014 and the latter was traded to the Minnesota Timberwolves at the 2015 trade deadline. Terry left the Nets and signed with the Rockets the next year. The C’s predictably struggled in the 2013-14 season, winning just 25 games under first-time NBA head coach Brad Stevens. With just 23 games gone by in the next season and with the team sitting at 9-14, Ainge decided to trade star point guard Rajon Rondo to the Dallas Mavericks for three players, including Jae Crowder. Crowder is currently a significant contributor to the Celtics’ success, as he has started all of the team’s playoff games in the last two seasons. At the time, the deal looked like a classic sell move from a team looking to slowly work back towards contention. In hindsight, it looks like a steal for Boston; Rondo played just 46 games in a Maverick uniform before signing with the Kings after the end of the season. The move, though, didn’t pay off right away: the Celtics slumped to a 20-31 mark at the All-Star break and did not appear to be in playoff contention heading into the trade deadline. One team that was looking at self-improvement for a playoff push was the Phoenix Suns; the Suns had already dealt guard Goran Dragic to the Miami Heat after he demanded a trade because of disagreements with the front office and then-head coach Jeff Hornacek. The Dragic deal necessitated the team’s acquisition of Bucks shooting guard Brandon Knight. With Knight’s acquisition, Phoenix and general manager Ryan McDonough looked to remedy the team’s crowded backcourt situation, as the Suns had played with three starting-caliber guards in the rotation for the first half of the year. That led the organization to ship Isaiah Thomas to Boston in a three-team deal that spawned the Suns….. Marcus Thornton and Boston’s 2016 first round draft pick. Whoops. The rest is more or less history; the Celtics went 20-11 to close out that season and went to the playoffs where they were quickly dispatched by the Cleveland Cavaliers in four games. You may remember that series for this play but not much else. Ainge laid low over the summer of 2015 and over the remainder of the next season, as Boston’s most significant transaction was acquiring forward Amir Johnson in free agency. The Celtics continued to improve, and Thomas took over as the team’s starting point guard and undisputed face of the franchise. 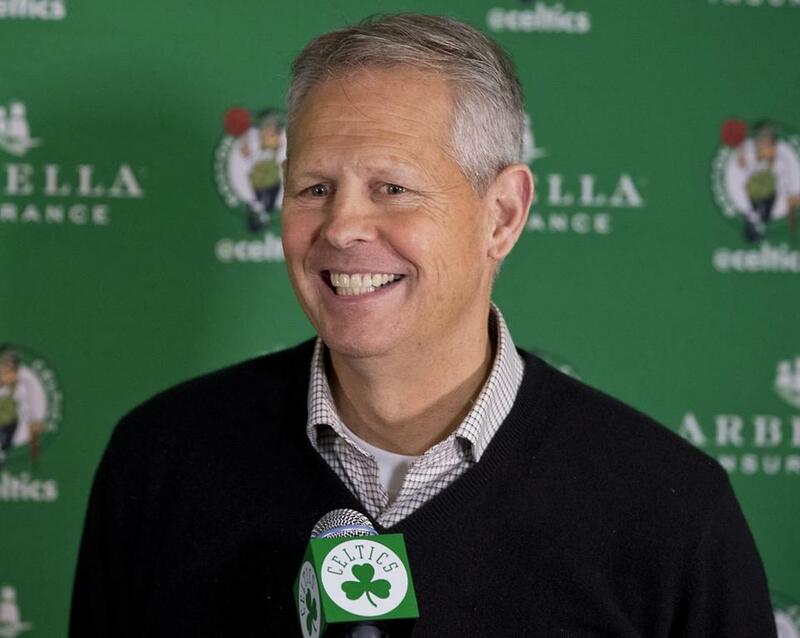 While the C’s lost in six games to the Atlanta Hawks in the first round of the 2016 playoffs, the team was clearly ahead of schedule in their rebuilding process. Last summer, Ainge and the Celtics front office made their biggest splash yet, signing star center Al Horford to a four-year, $113 million contract; Horford was part of the Atlanta team that defeated Boston the year prior. With Horford in the fold and the rest of the core together for another year, the Celtics took another leap, finishing with 53 wins and, in a down year for the Eastern Conference, the number one seed in the playoffs. While some posited that they were the worst one-seed the league has ever seen (wonder who that could be), the accomplishment was still noteworthy for a team that looked to be locked in a long-term rebuild at this same time just three years ago. Now, the Boston Celtics find themselves in the Eastern Conference Finals after defeating the Washington Wizards in a deciding game 7. Kelly Olynyk, a forgotten piece of the Celtics’ resurgence, went for a playoff-career-high 26 points, Thomas went for 29, and the Celtics moved on after a series in which the home team won every single game. This comes on the heels of Boston being down two games to none to the Rajon Rondo-led Chicago Bulls (yes, him again). Rondo missed the last four games of that series, all of which went to the Celtics. It’s fair to argue that the Boston Celtics had lots and lots of luck in getting to this point. The Thomas trade, the Nets giving them most of their draft picks for half of a decade, the Bulls losing Rondo, etc. But it is impressive that Ainge and the Boston front office was able to rebuild the roster so quickly after having very little to work from not long ago. Also, consider this: the Celtics could get the number one overall pick in tonight’s NBA draft lottery. Because the Nets (very dumbly) allowed Boston to swap picks this year and the Nets had the worst record in the NBA, the Celtics have a one-in-four chance to earn the top pick. And, because they have the most ping-pong balls in the lottery, Boston cannot pick any lower than fourth overall. 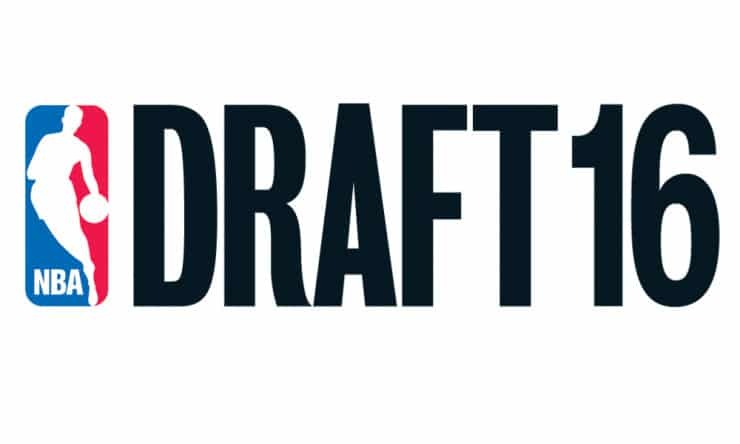 Then, think about how loaded this year’s draft is; with the Celtics’ standing, they could end up with any one of Markelle Fultz, Lonzo Ball, Josh Jackson, DeAaron Fox, Malik Monk, or Jayson Tatum, all of whom could help the team from day one. 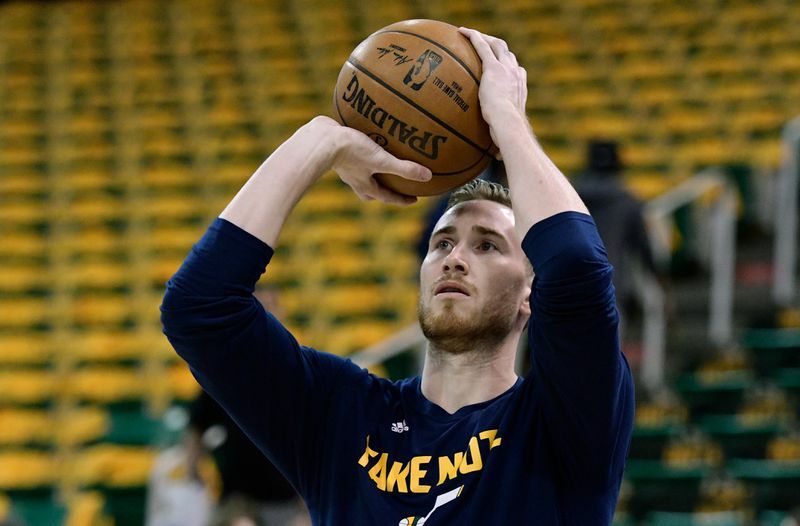 And if they want to make a run at a championship for next year, they could draft any one of those players and trade him to a rebuilding team for a more established player or players, such as the Bulls’ Jimmy Butler or the Pacers’ Paul George. I’m not suggesting this would definitely happen, but it should be on the table when Boston makes their selection. Also, this is not meant to suggest that Boston will defeat the Cleveland Cavaliers in this year’s Eastern Conference Finals. Cleveland has shown itself to be the far superior team over the course of the season and so far in these playoffs, so it would be a major shock to see Boston come out on top in the series. Nevertheless, it is an incredibly impressive achievement for a team that will earn a top-four pick in the draft tonight and open the Eastern Conference Finals at home tomorrow. Are the Celtics the Weakest One Seed Ever? Through two games of the NBA Playoffs, the Boston Celtics have looked less like the best team in the Eastern Conference and more like a seventh or eighth seed. That’s good, because they’ve been easily handled on their home floor by a team that was a self-imploding caricature of itself during the regular season and only got into the Playoffs because the Brooklyn Nets rested all of their semi-decent players in their last game of the season (by plus-minus, the best player on the floor for Brooklyn against Chicago last Wednesday was Spencer Dinwiddie). But through two games of their first-round series, they have easily handled the top-seeded Celtics, dominated the rebound battle, and looked like the far superior team of the two. The Celtics are just the second one seed in NBA history to lose the first two games of their first-round series; the 1992-93 Phoenix Suns dropped their first two games to the Los Angeles Lakers before winning the last three in what was then a five-game series. The Suns later went to the Finals last year and Charles Barkley proclaimed that the team had a very famous fan on their journey. The rest is history. Are the Boston Celtics the weakest one seed the NBA has ever laid eyes upon? This discussion will be limited to teams who have secured the honor in the modern NBA Playoff format of sixteen teams, an arrangement that began with the 1984 Playoffs. We will also exclude the lockout shortened 1998-99 and 2011-12 seasons, as both seasons saw significant chunks of time knocked off the regular season.  Including and since 1984 but excluding this past regular season, a total of 20 teams have obtained the number one seed in their conference without getting to 60 wins; that number is generally regarded as the threshold for safely earning a one seed. Out of those 20, every single one won at least one Playoff series, and 19 reached at least the Conference Finals. Additionally, 12 of the original 20 reached the NBA Finals with three (the 1989-90 Detroit Pistons, 2009-10 Los Angeles Lakers, and 2015-16 Cleveland Cavaliers) winning the championship. History has shown that stumbling to a top seed and going far in the Playoffs are not mutually exclusive things. The Heat, therefore, are exempt from this discussion; they obviously played an underachieving Knicks team that later went on a run to the NBA Finals. And in a lockout-shortened year, one had to expect some degree of craziness in the Playoffs. That also means that the 2011-12 Chicago Bulls are exempt from this discussion; they also lost defending MVP Derrick Rose in the first game of their series against Philadelphia and very likely would have moved on with a healthy Rose. We then move to the 1993-94 Seattle SuperSonics, who won 63 games in the regular season but fell prey to the Dikembe Mutombo-led Denver Nuggets in the Playoffs. By the SRS (simple rating system), Seattle ranked number one in the league that season and were the favorite of many pundits to advance far in the Postseason and possibly even win an NBA title in the first season after Michael Jordan’s first retirement from basketball. Alas, they fell flat in April, but calling them a weak one seed would be a gross mischaracterization. While they disappointed in the Playoffs, they may have been the best team in the regular season. Moving chronologically, the 2006-07 Dallas Mavericks were very similar to Seattle. They were second in SRS and while metrics say they overachieved by roughly six wins that year, they were still one of the best teams in the league. Unfortunately for them, they ran into the “We Believe” Warriors and were dispatched in six games. But with 67 regular season wins, the Mavericks were actually one of the strongest one seeds of all time. However, they turned in an incredibly lackluster Playoff performance. The other one seed to exit in the first round was the 2010-11 San Antonio Spurs, who were ousted in six games by the Memphis Grizzlies. It’s worth noting that after beating San Antonio, Memphis took the Oklahoma City Thunder to seven games in the Conference Semifinals, clearly cementing their status as better than your average eight seed. The Spurs probably weren’t as good as the 61-21 record, but they hardly stood on shaky ground. If anything, they were actually beaten by a better team. That leads us to the 2016-17 Boston Celtics. I’ve used the Simple Rating System for a couple of other teams in this article, so why not use it again: Boston ranked eighth in the league in SRS this year, behind teams such as the Jazz and the Raptors. At 53-29, they were a one seed in name only, and their expected win-loss record (48-34) suggests that they were really a middle-of-the-pack team. Part of their failure against Chicago can also be attributed to their matchup deficiencies against the Bulls. While Chicago is a top-five rebounding team, the Celtics ranked 27th in the league in the same category this past year. 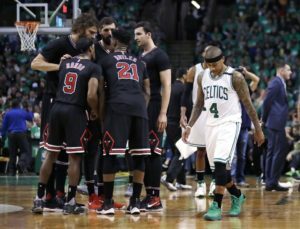 The Bulls have exploited the Celtics’ weaknesses on the glass to the tune of a +22 rebound advantage over the first two games of the series. That doesn’t seem like a very advanced winning method; after all, everyone could have seen that coming, right? No, we didn’t. Not one ESPN expert picked Chicago. I picked the Celtics in a quick and easy five games. Like many others, I saw the Bulls as a hapless, bickering misadventure of a basketball team with big names but not enough cohesion and, frankly, pure basketball skill to take out Boston. Like everyone else, I’ve been proven wrong by the Bulls’ tenacity and winning combination of Jimmy Butler, Dwyane Wade, Robin Lopez, and the National TV version of Rajon Rondo. The metrics and the results agree: this is the worst and weakest one seed in the modern era of professional basketball. The Celtics couldn’t hide forever, and now that they’ve reached the Playoffs, their fraudulent identity has come to the surface. Worthy of being the one seed in the Eastern Conference. Discussion: The Hawks easily dispatch of and sweep the Nets like they have in the regular season. The Raptors defeat the Wizards in a series of two fairly evenly matched teams. The Celtics take a game (most likely game 1) from the Cavs, a team greatly lacking in playoff experience who will come out flat and nervous. But don’t expect the upset here. Finally, the Bucks outperform expectations but eventually succumb to the superior Bulls. Discussion: The Pelicans, fresh off their first playoff berth since 2011, take a game from the Warriors but cannot hang in the series. In a series of complete attrition, the Grizzlies survive the Trial Blazers; both teams are suffering from critical injuries. The Rockets-Mavericks series is a toss-up, but the advantage goes to the team with home court. Finally, the Spurs defeat the Clippers and set up a second-round date with Houston. Discussion: The Hawks defeat the Raptors in 6. The Hawks have not been to a Conference Finals since 1970. The Cavaliers defeat the Bulls in what could arguably end up as the best series in the playoffs, as both teams are profusely talented and evenly matched. Discussion: The Warriors dispose of a Grizzlies team that will likely be without starting PG Mike Conley for the playoffs. The Spurs defeat the Rockets. Crazy guess: the Spurs employ either a Hack-a-Smith strategy (Josh Smith: 49% Free-throw shooter) or play Hack-a-Howard (53% Free-throw shooter). Discussion: Both road teams prevail here. The Cavaliers overwhelming talent overtakes the Hawks teamwork and discipline. The Spurs defeat the Warriors in a battle of the New Guard vs. the Old Guard in the NBA. This sets up the LeBron vs. the Spurs rematch for a third straight year. Cleveland finally gets its title. This Cavs team is obviously far better than last year’s Cavs team and the play of Kyrie Irving at the point will be the difference. Bold prediction: Kyrie will win Finals MVP. The Cavs win this series by the slimmest of margins, in 7 games.